Thermore® is a high tech thermal insulation designed to keep your body at its natural warmth. Thermore® is designed to offer soft, lightweight warmth for maximum comfort. Thermore® thermal insulation has a very low density structure: its volume is made up mostly of air. Physics has shown that trapped air is a highly efficient insulator and capable of generating beneficial warmth (think of a double pane window). 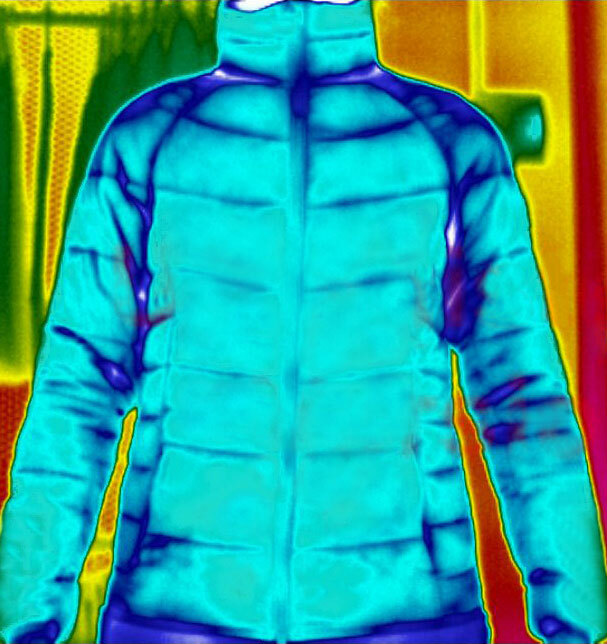 The animation on this page illustrates how body heat is blocked from the Thermore® structure and is not easily dissipated to the environment, thus keeping us warm.